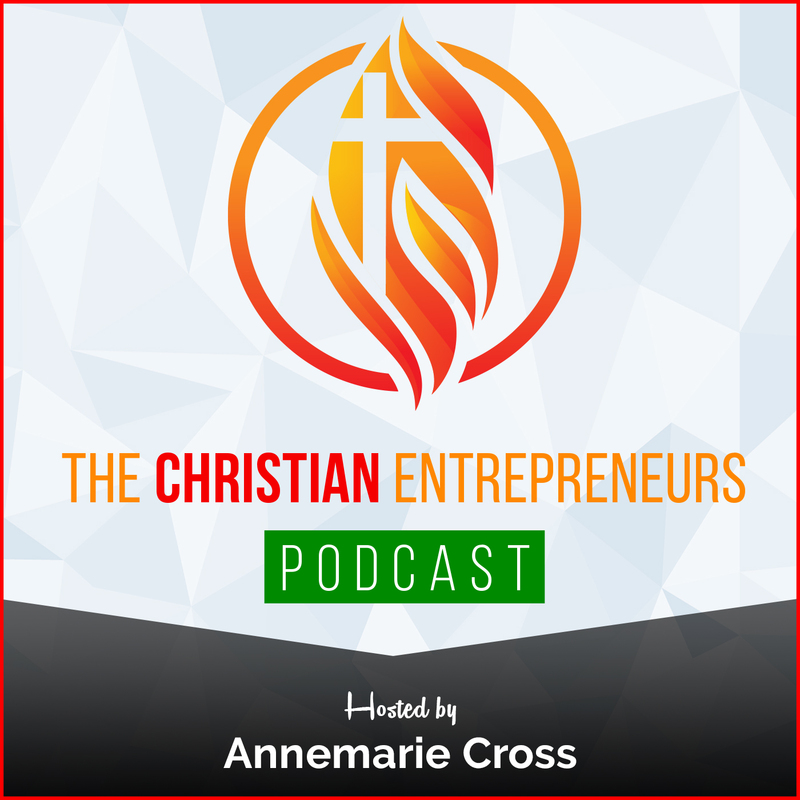 As a Christian Entrepreneur, do you use power, purpose and peace in your business? 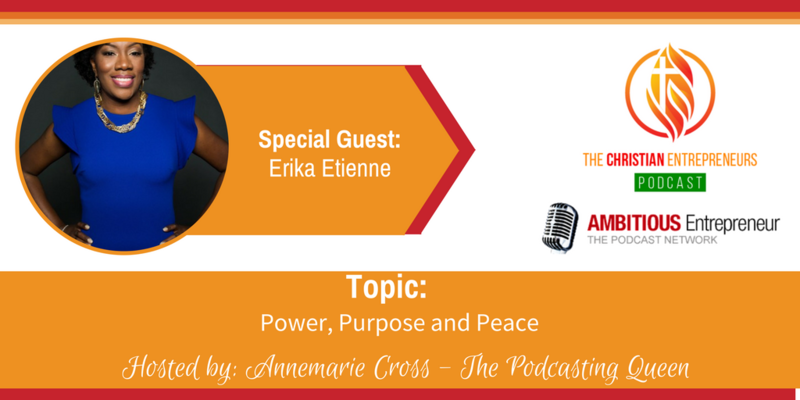 Joining me on today’s show is Erika Etienne. Erika is an author, speaker, film producer, playwright, domestic violence advocate, and lover of the Bible. Through her commitment to help and empower women, she founded the faith-based women’s empowerment community, Power, Purpose, and Peace, which offers Bible studies, personal and spiritual development, retreats, an online support group and more. For 10+ years, Erika has shared her story of triumph over abuse, divorce, and a brush with death to empower women to rise above their circumstances and fulfill their God-given purpose. 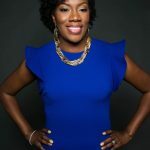 She provides women with mentorship and practical strategies to identify their purpose and navigate successfully through life’s interruptions, all while maintaining their peace. Her journey of growth and transformation epitomizes for women, the truth of God’s word that He is no respecter of persons (Acts 10:34); therefore, showing women that what He has done in her life, is also available to them. Know your source. Listening and following God’s direction is essential during periods of success or perceived failure. Do it even if doesn’t make sense. You have to be willing to take risks and go against the grain even when the people around you don’t understand or support you. Value relationships. Business and life are both rooted in relationships and you have to nourish the right relationships to sustain and/or flourish. Erika Etienne is an author, speaker, film producer, playwright, domestic violence advocate, and lover of the Bible. Through her commitment to help and empower women, she founded the faith-based women’s empowerment community, Power, Purpose, and Peace, which offers Bible studies, personal and spiritual development, retreats, an online support group and more. For 10+ years, Erika has shared her story of triumph over abuse, divorce, and a brush with death to empower women to rise above their circumstances and fulfill their God-given purpose. 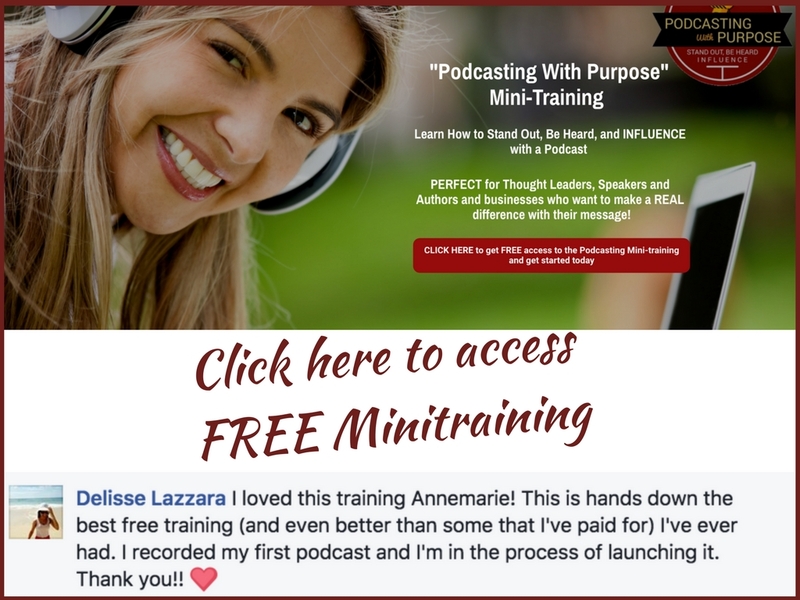 She provides women with mentorship and practical strategies to identify their purpose and navigate successfully through life’s interruptions, all while maintaining their peace. Her journey of growth and transformation epitomizes for women, the truth of God’s word that He is no respecter of persons (Acts 10:34); therefore, showing women that what He has done in her life, is also available to them.